Close allies Saudi Arabia and Pakistan on Monday called for avoiding "politicisation" of the UN listing regime at a time when India was stepping up its efforts to brand the Pakistan-based Jaish-e-Mohammad (JeM) terror group's chief Masood Azhar as a global terrorist, a move that may not go well in New Delhi. Ahead of his visit to India amidst fresh Indo-Pak tensions, Saudi Crown Prince Mohammed bin Salman stressed that dialogue is the only way to ensure peace and stability in the region to resolve "outstanding issues" between India and Pakistan, according to a joint statement issued at the end his visit. Crown Prince Salman's high-profile visit to Islamabad comes in the midst of heightened tensions between India and Pakistan following one of the worst terror attacks in Jammu and Kashmir in which 40 CRPF soldiers were killed. The attack was carried out when a JeM suicide bomber rammed a vehicle carrying huge quantities of explosives into a CRPF convoy in Pulwama district last Thursday. Crown Prince Salman, who is visiting India on February 19-20, held talks with Pakistan Prime Minister Imran Khan on the issue of terrorism. "They also underlined the need for avoiding politicisation of UN listing regime," the joint statement said in an apparent reference to India's bid to list JeM's Pakistan-based chief Azhar as a global terrorist. China, a veto-wielding member of the UN Security Council and a close ally of Pakistan, has consistently blocked moves first by India and later by the US, the UK and France to designate Azhar as a global terrorist by the 1267 Committee by putting technical holds. 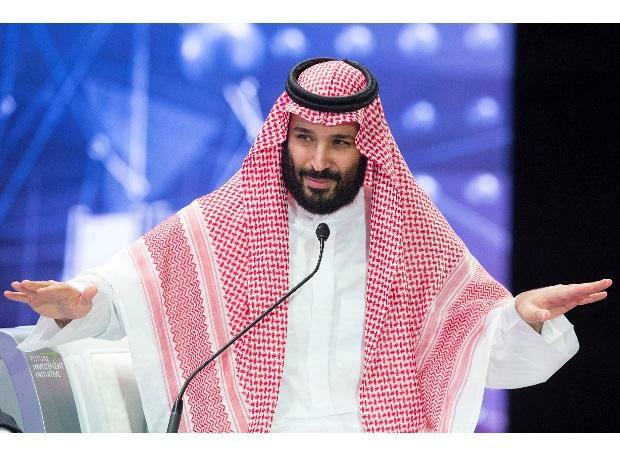 The Saudi Crown Prince "praised openness and efforts of Prime Minister Imran Khan for dialogue with India and the opening of the Kartarpur crossing point for Sikh pilgrims, the joint statement said. It also pointed out to the "efforts exerted by both sides, stressing that dialogue is the only way to ensure peace and stability in the region to resolve outstanding issues". The joint statement avoided mentioning Jammu and Kashmir by name, which has angered some Pakistanis. "I am disappointed that Kashmir is not mentioned in the joint statement but I also understand why it is not," former foreign minister Khursheed Kasuri told Dunya TV. However, a separate statement issued by the Pakistan Foreign Office showed that Khan in his meeting briefed the royal guest about the violation of rights in Kashmir. The Prime Minister briefed the Crown Prince on the "grave human rights violations" in Kashmir and the need for resolution of the Kashmir dispute in accordance with UN Security Council resolutions and wishes of the Kashmiri people, the Foreign Office said. The two countries "reiterated their commitment to continue combating extremism and terrorism and expressed their deep appreciation for the achievements and sacrifices made by the two sides in the war against terrorism, the joint statement said. "They also applauded the martyrs who sacrificed their lives in order to confront this serious scourge and called on the international community to shoulder its responsibilities to join all international efforts to combat global terrorism," it said. The Pakistan-Saudi joint statement also says that the two sides agreed on the importance of political settlement and promoting peace and stability in Afghanistan so that millions of Afghan refugees in neighbouring countries can return to their country and contribute to their development and lasting peace. The Saudi side appreciated Pakistan's generous hosting of millions of Afghan refugees and other initiatives by Pakistan in the Afghan context. The two countries expressed their hope for achieving a fair, comprehensive and long-lasting peace in the Middle East in accordance with the Arab Peace Initiative and the resolutions of international legitimacy guaranteeing the legitimate rights of the Palestinian people, including the establishment of an independent and viable Palestinian state based on internationally agreed standards 1967 with Jerusalem as its capital, the joint statement said. The Pakistani side appreciated the leadership and positive role of the Kingdom of Saudi Arabia in resolving the issues facing Islamic Ummah worldwide. The Saudi side lauded Pakistan's important positions in the Islamic world and its efforts for regional peace and security. Both sides noted with satisfaction their strong defence and security ties, and agreed to further enhance cooperation in this field to advance shared objectives, the joint statement said. The two leaders witnessed the signing of a number of agreements and memorandums of understanding. "The total investment opportunities resulted in over USD 20 billion, which would increase the mutual investment and volume of trade between the two brotherly countries," it said. The Crown Prince stressed the potential of the China-Pakistan Economic Corridor (CPEC), which will contribute to the development and prosperity of the region. The Foreign Office said in its separate statement the visit of the Saudi Crown Prince has laid the foundation for a new chapter in Pakistan-Saudi relationship, marked by high level institutional framework to guide future direction of political, diplomatic, economic, investment, trade, people-to-people, defence, security and cultural aspects.